One of our projects Tshwaranang Sewing is in the process of receiveing a building expansion and also received material to be used in the manufacturing of school uniforms for local schools in and around the community of Bethanie. 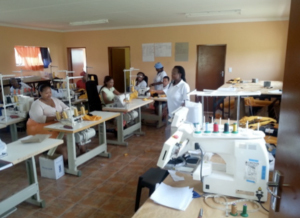 On behalf of Tshwaranang Sewing Management, we at Sage Wise would to say thank you to Glencore Rhovan Mine for all the commitment, assistance & support they provide to Tshwaranang Sewing. Tshwaranang Sewing is gratefull & appreciate it. As one of Rhovan's SLP projects it is our primary objective to ensure this project becomes sustainable and creates their own foot print in the manufacturing industry. 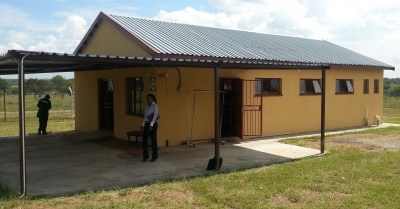 Although Tshwaranang manufactures for 8 schools it is not sustainable due to most of the childrens parents being unemployed as we all know the Economic state South Africa is in. A sustainable income is needed for Tshwaranang Sewing to become successful as the business is equiped with all the required machinery & all the ladies does have th neccessary skills, experience & knowledge. Penetration of the school uniform manufacturing market in Rustenburg, Mooinooi, Brits & Hartebeespoort will be the next step as Tshwaranang does have the capacity & required skills to serve more clients. The ladies of Tshwaranang is motivated & committed in making their business a success. With our Business Support & Mentorship and Incubation stuctures we will guide them, mentor them, teach them & grow them as business and individuals. "What we do at Sage Wise, IS RESULT DRIVEN!!!" Sage Wise is a well-established business specializing in Enterprise development, Business Mentorship, BEE consultancy and managing Incubation Centre’s. 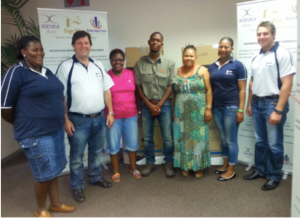 Sage Wise is based in Rustenburg, Johannesburg and Steelpoort. We focus on supporting the development of stable BEE business as part of the economic growth and stability of SMME businesses in South Africa. 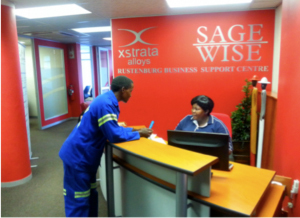 Sage Wise and Xstrata Alloys (now Glencore) established the Business Support Centre’s as the platform from which the specialized services are rendered to develop, support & mentor entrepreneurs as aid for BEE Procurement and supplier development. The Centre’s are located at Steelpoort in the Eastern Limb and at Rustenburg in the Western Limb. It has a well-established infrastructure supported by a management and employee team of experts that are strong, adequate and skilled in the development and support of enterprises. The program that was developed by Sage Wise is to address the existing shortfall in the successes and sustainability of new established and existing SMM & L black owned enterprises and to create a level playing field for them. We are implementing an innovative and integrated approach to enterprise development and support that lends itself to grow sustainable businesses in South Africa.